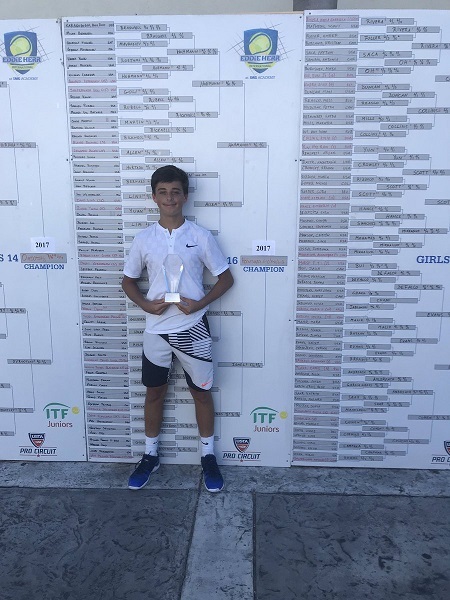 Last year, Oyster Bay, N.Y.-born Ronnie Hohmann captured one of the most prestigious junior tournaments in the world, winning the Boys 16s Division title at the Eddie Herr International at the famed IMG Academy in Bradenton, Fla. Hohmann defeated three of the draw’s top five seeds on his way to winning one of the biggest titles a junior player can win. That confidence has led to some outstanding results for the 16-year-old Hohmann in recent months. 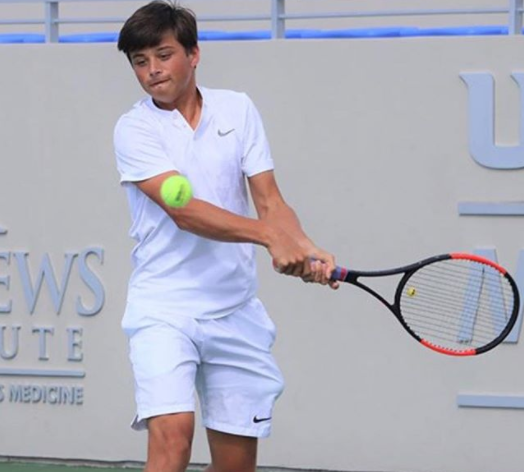 He followed up his triumph at Eddie Herr by winning USTA National tournaments in Key Biscane and Orlando. 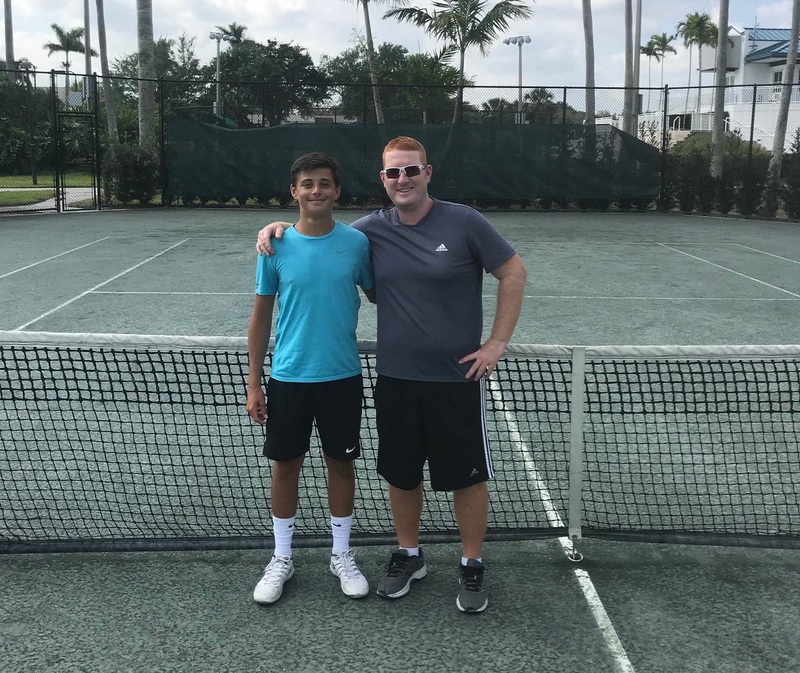 Just recently, Hohmann won six matches en route to the title at the NTRP Championships at the Broward Tennis Festival, his fourth top-level title in five months. In the finals of the Broward Tennis Festival, he defeated Juan Benitez, who was ranked 699th on the ATP Tour at the time. Hohmann’s success really shouldn’t come as any surprise with the amount of time, work and energy he has put into honing his craft over the last three years under the tutelage of former professional player, Todd Widom. The two first came in contact through Robert Kendrick, a friend of Widom’s from the ATP Tour, who was training with a 12-year-old Hohmann in New York. During this time, Hohmann was also heading down to Florida during some spring and summer months, as well as Christmas breaks, to train. A couple of years later, Hohmann’s parents decided the best thing to do was have him train full-time with Widom down in Florida. Widom was just the man for the job. He spent eight years as a professional tennis player, and his training system was exactly what Hohmann needed. From an early age, Hohmann showed the signs of his tennis potential: Hand-eye coordination, foot speed and racket head acceleration. But his transition from training primarily indoors in New York to the outdoor courts of Florida would not be an easy one. Hohmann had achieved great results in the Eastern Section, but needed to adjust his game to the outdoors and the elements of the Sunshine State if he were to compete with the best of the best in the nation. His ball needed to be heavier off both his forehand and backhand, as opposed to hitting the ball flat, and he needed to learn how to come to the net and not hug the baseline. In other words, what worked for him in tournaments in New York was not going to work for him in Florida. It wasn’t just the tactical aspect of tennis that Widom needed to instill in Hohmann, but he also needed to toughen him up from both a physical and mental perspective. Widom recalls a story when Hohmann first began training full-time with him, and he had him compete against another boy in his program. If Hohmann acted up on court during a match, Widom would put him through a stressful exercise as a form of punishment. This had a two-prong effect: Hohmann would not only have to change his attitude, but he would also be getting stronger and better-conditioned as well. And Hohmann was willing to do anything that Widom and his team pushed him to do, and his progress in the last couple of years is evidence of that. Hohmann has now been in Florida full-time for two-and-a-half years, and is now one of the top players in the country. His victory at the Eddie Herr International was a real confirmation of the dedication he has shown and the improvement he has made. 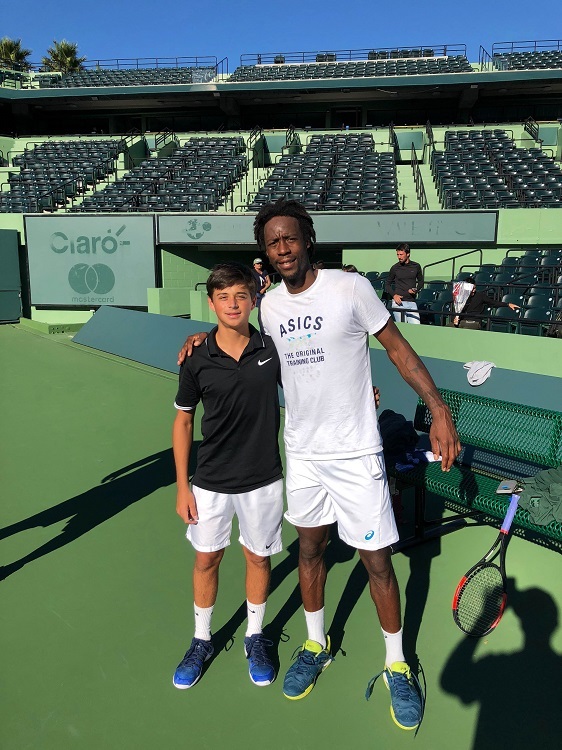 He has recently hit with many top pros who train in Florida, including Gael Monfils, Kevin Anderson and Fernando Verdasco.